This weekend I was able to go to the quilt show and do a bit of shopping. I try to go every year at least to shop and see the quilts on display. 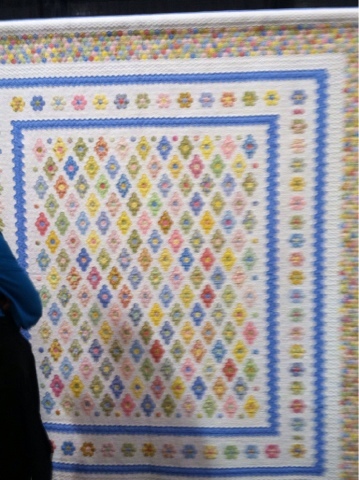 There is every category of quilts on display, I have a couple shown here. I was amazed at he number of 3/4 inch hexagons it took to make this quilt. 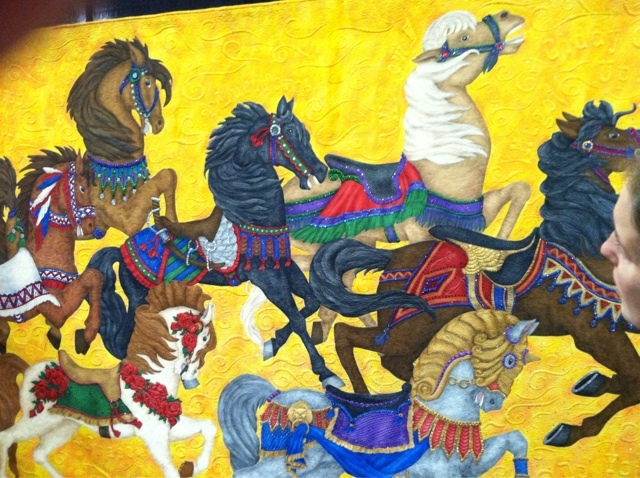 The horses were hand painted and then stitched, it was one of the winners. 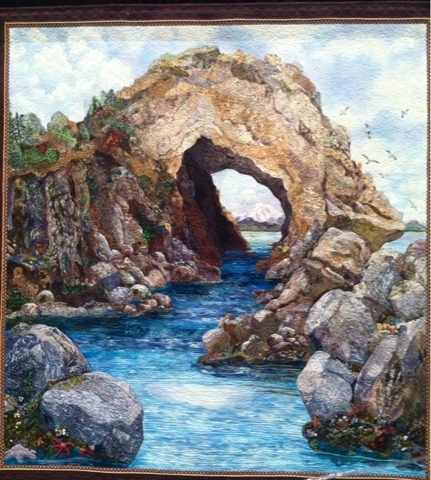 The sea tunnel was spectacular in person and looked just like a painting, it has over 250 different fabrics in it. 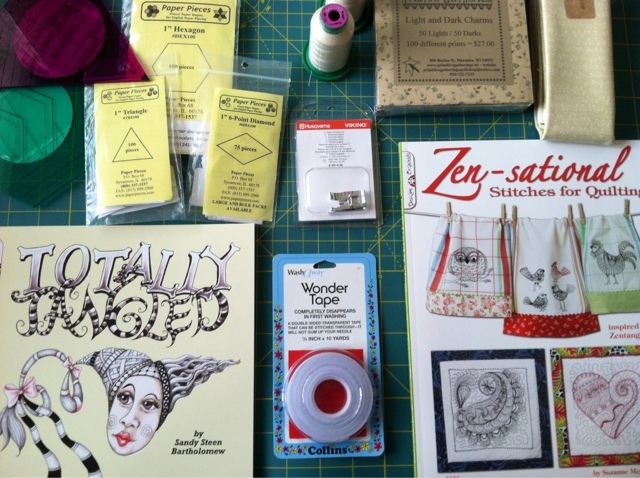 I tried to behave myself with the shopping and only got a couple zen tangle books, a charm pack of 50 lights and 50 darks all one of a kind with some extra light for sashing, a new 1/4 edge stitching foot (I am in LOVE) and a few other gadgets. I did get to see Eleanor Burns in person which was cool. 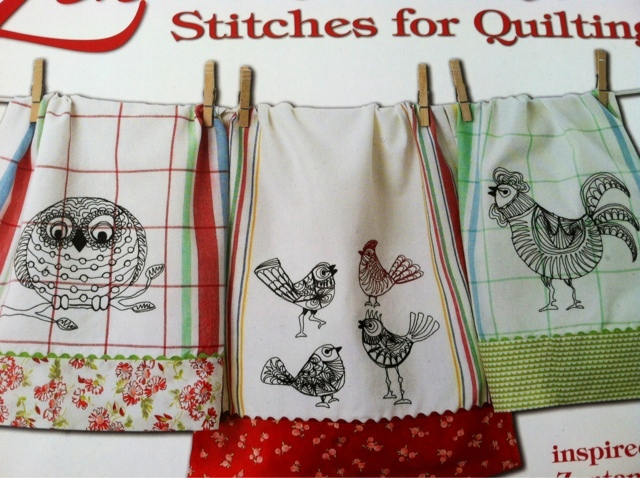 I don't really go for that kind if quilting but she has really good tips and techniques. She was very nice and quite funny! I wrote this on my iPad so my pictures are going to be out of line.....sorry. I did get some sewing done today and finished my laptop sleeve, it's drying now so no picture and some piecing with my new foot. How did I ever live without it I don't know?! Now I gotta get some laundry done, starting a new job assignment tomorrow! Need clean clothes!